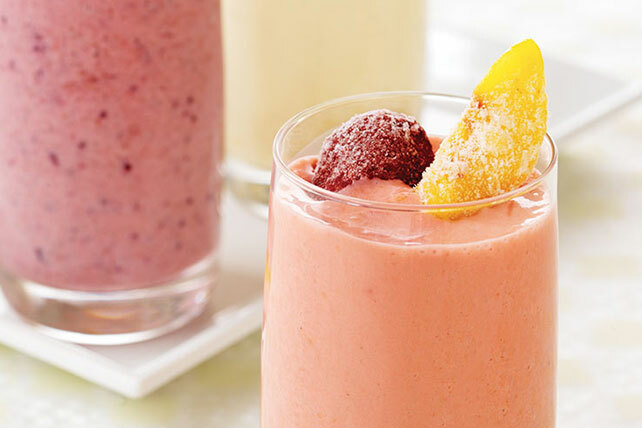 Try a refreshing, sweet Strawberry Peach Smoothie. Ready in 5 minutes flat, our Strawberry Peach Smoothie is one frothy drink you can feel good about. Prepare with drained canned sliced peaches. Serve garnished with additional fruit.